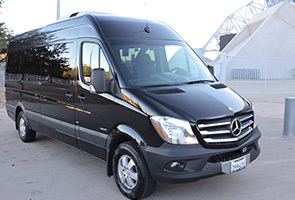 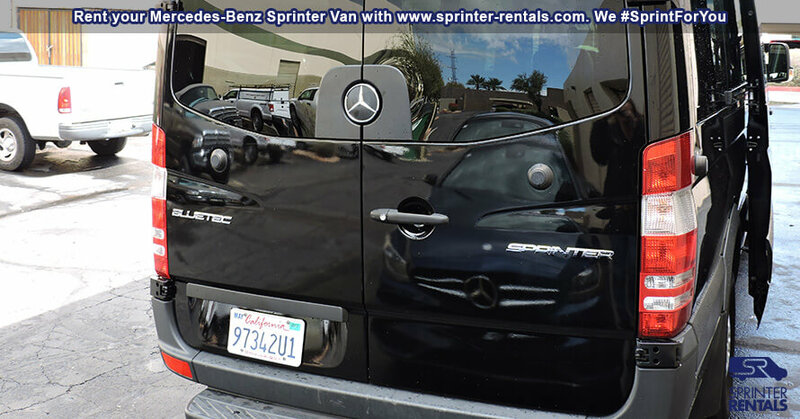 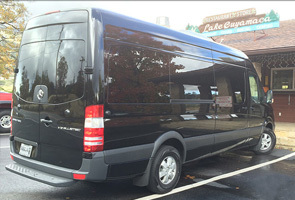 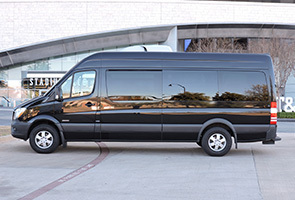 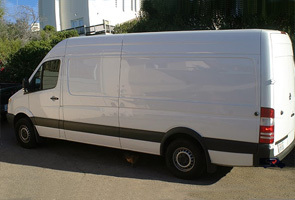 The Executive Sprinter-Rentals van is a luxurious mobile office and traveling meeting space. 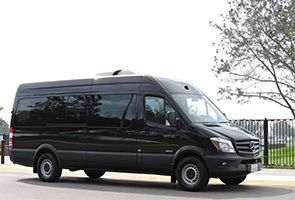 Designed to meet the requirements of executive lifestyles, the TV, iPad® pods and a premium sound system makes both productivity, and entertainment, a priority on the road. 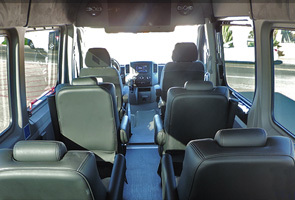 You will enjoy all of this while being seated in soft leather reclining chairs. 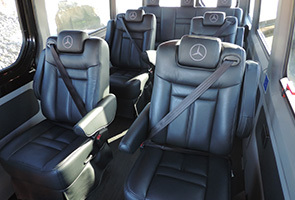 A front and back wall separates the seven seats from the two forward driver/passenger seats and from the back luggage area, so private conferences are always an option. 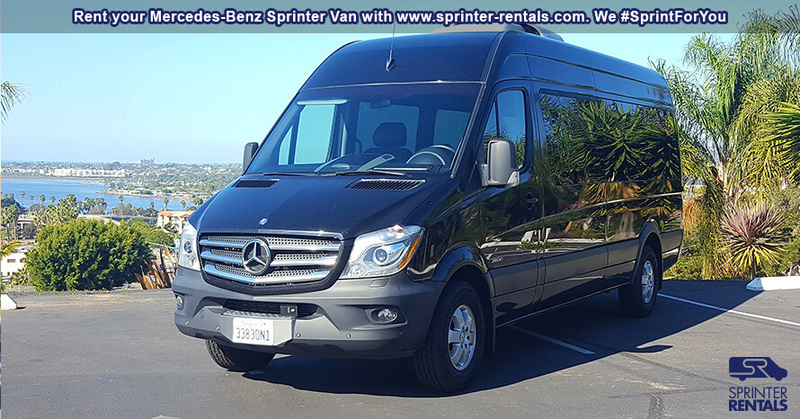 Feel the comfort and luxury of our Executive Sprinter-Rentals van by renting the largest vehicle available in the passenger van market. 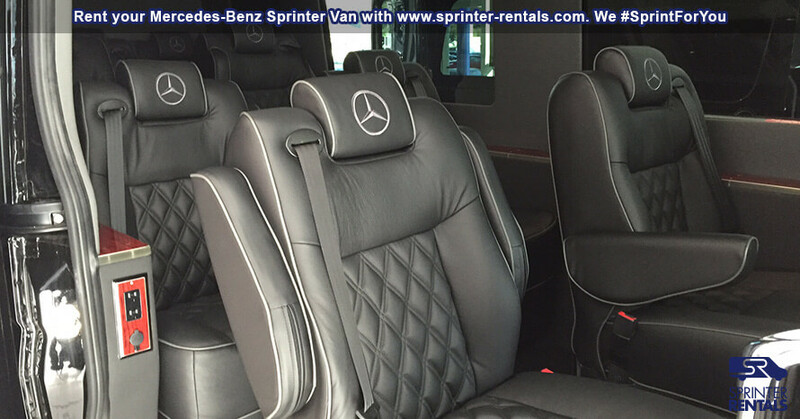 Reserve your very own Mercedes Benz Sprinter 11 seater executive van rental today! 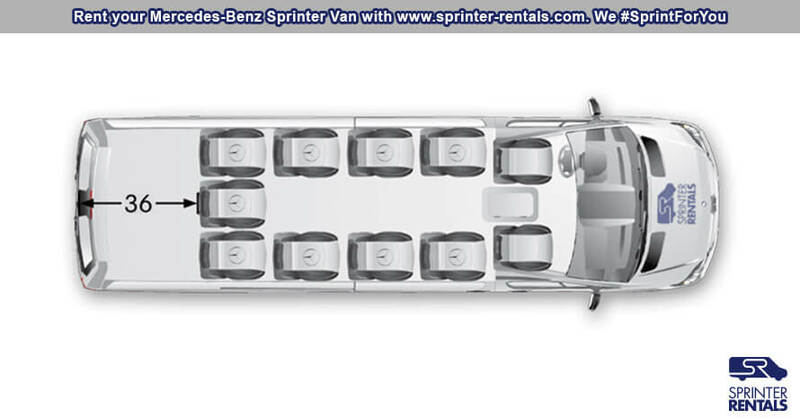 Seats: 11 people with headrests. 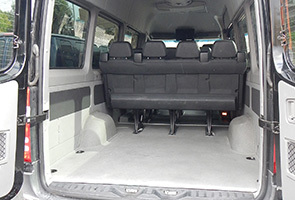 Driver & Passenger bucket seats. 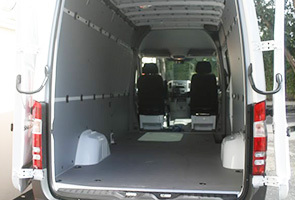 Cargo Area: 2 x 5 x 5 ft.
Front divider with an opening to reach the cooler and coffee station. 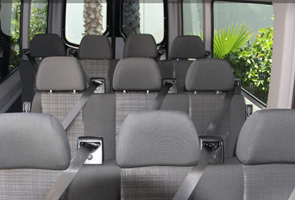 Back separator wall. 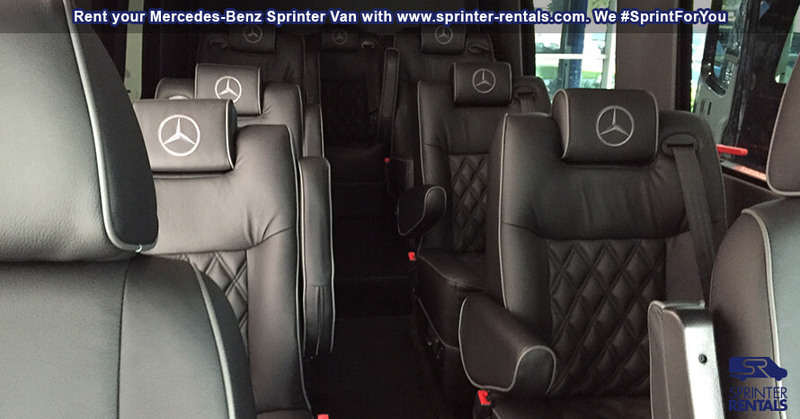 Need luxury and less seats?